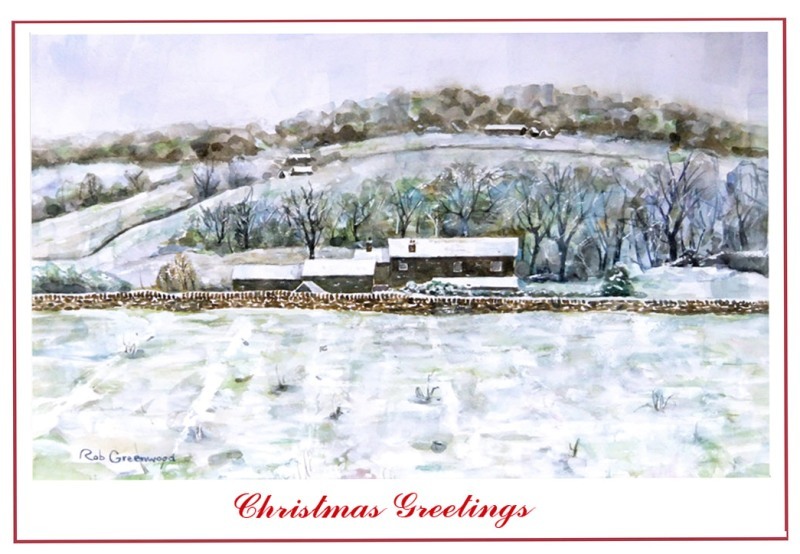 I produce a range of Christmas cards, greetings cards and prints. 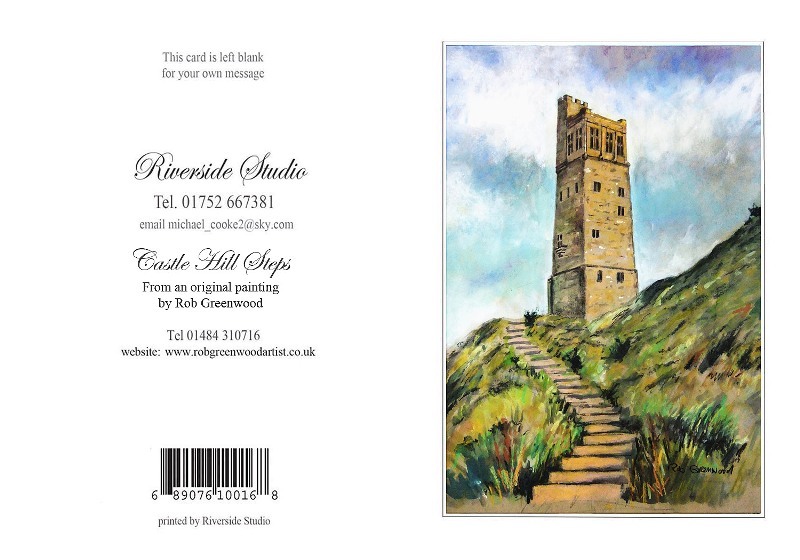 Cards of Almondbury and other local scenes are generally available and any of the pictures on my website can be ordered individually as cards or A$ mounted prints. Greetings Cards cost £1.50 each. They are supplied with an envelope and are individually wrapped in cellophane. The inside of the card is normaly left blank but a mesage of your own choice can be included. Calenders or mounted high Quality Giclee prints can also be ordered. A4 mounted prints are supplied in cellophane and cost £15 each. Below are a small sample of cards currently available. The first is shown folded flat to show both front and back.